Hello gorgeous gals! How are you today? So glad you joined me here. I cannot thank you lovely ladies enough for your sweet comments about my interview. You, my friends, really keep me going. 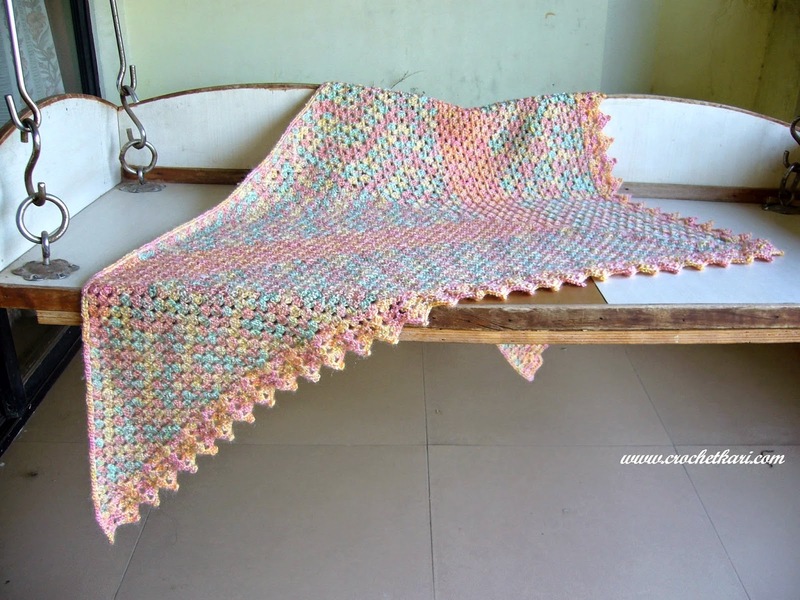 Some time back I shared my corner to corner blanket with you along with the video tutorial by one of my crochet gurus, Mikey from The Crochet Crowd. Today I have a beautiful shawl to show you. The pattern is by another favourite crochet teacher I follow, Clare of Bobwilson123. Clare has tons of wonderful crochet videos and psst...let me share a secret...I love her accent. 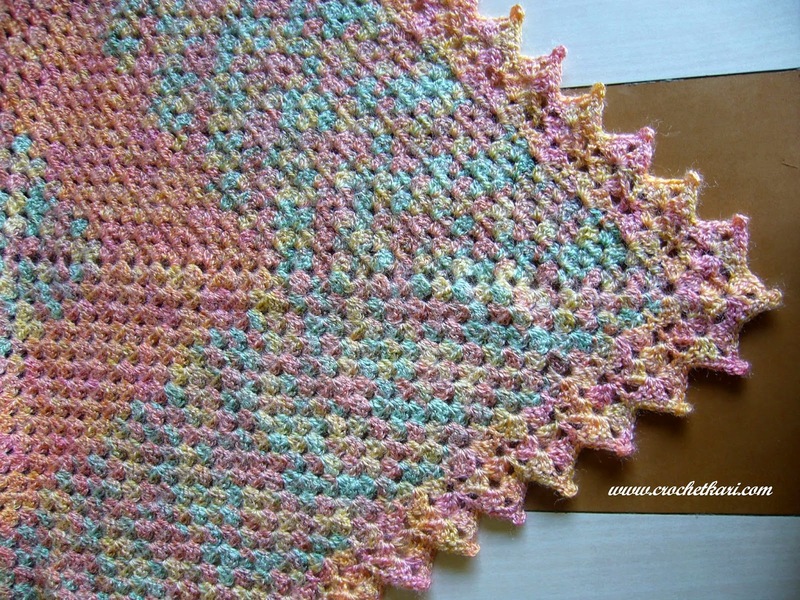 This pattern is the I Love Rainbows Shawl and is a beautiful granny shawl. It also has a delicate border. You can get the video here and the written pattern here. It is a lovely pattern and the video is very good too. I think the shawl has just turned out gorgeous, what do you say? 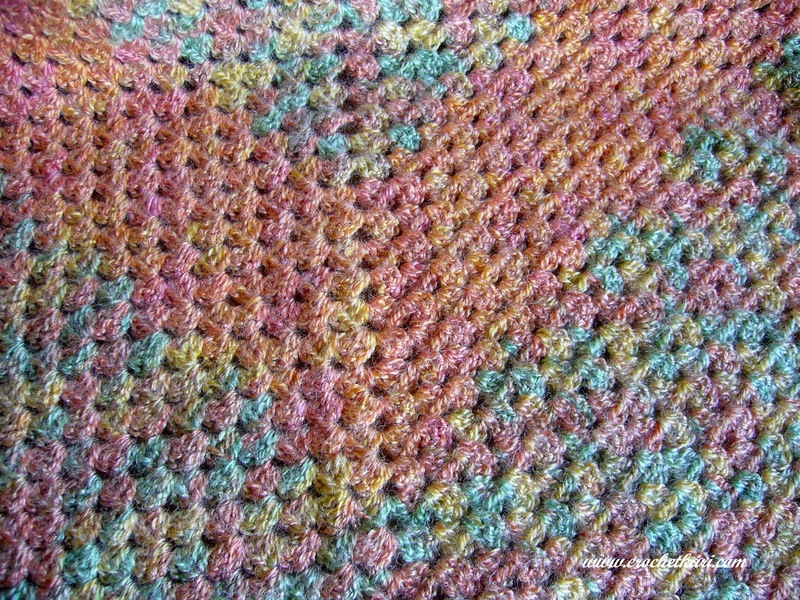 The original shawl has been made in lovely rainbow colours but I used a variegated yarn I had in my stash. The yarn is acrylic but has a lovely mohair-like fuzzy feel to it. My shawl is a bit bigger than the pattern and while the granny design can be a bit monotonous, what kept me going was the delicate, beautiful border. I wanted to start working on the border so I speed-crocheted through the shawl. For some visual interest I used a peach variegated yarn for the border and the panel in the center. I have not blocked the shawl yet, therefore the edges are curly. 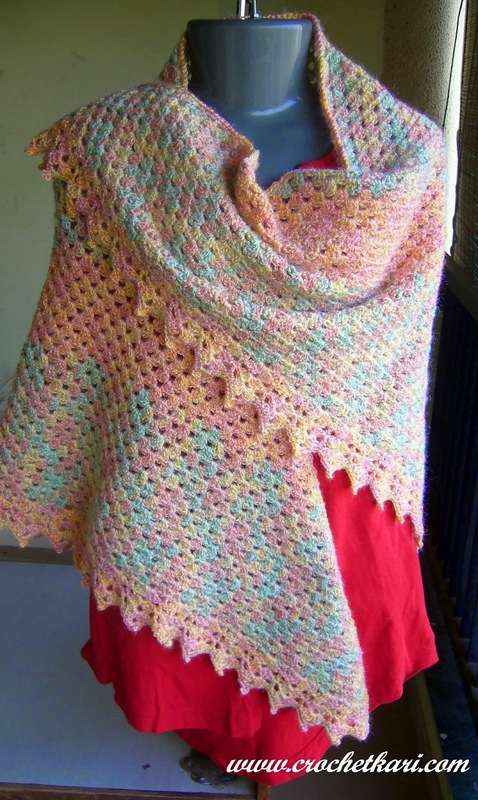 The shawl is quite sumptuous and cozy. The shawl reminds me of a Monet garden painting. You know, you see little flecks of yellow, a dab of lavender and dashes of various shades of green. Then you stand back , and lo and behold, it is a gorgeous garden with a water body and hanging foliage, vivid flowers, and the more you stare at it the more elements you discover in the garden. I was not very impressed with this yarn but upon completion the shawl looked so pretty and delicate, just like a Monet garden! The shawl measures 68" by 34" and weighs about 375 grams. I used a 4.50 mm crochet hook. You can get this shawl in my Etsy shop. Your shawl is looking pretty :) You have been making big projects very fast. Which yarn is this? 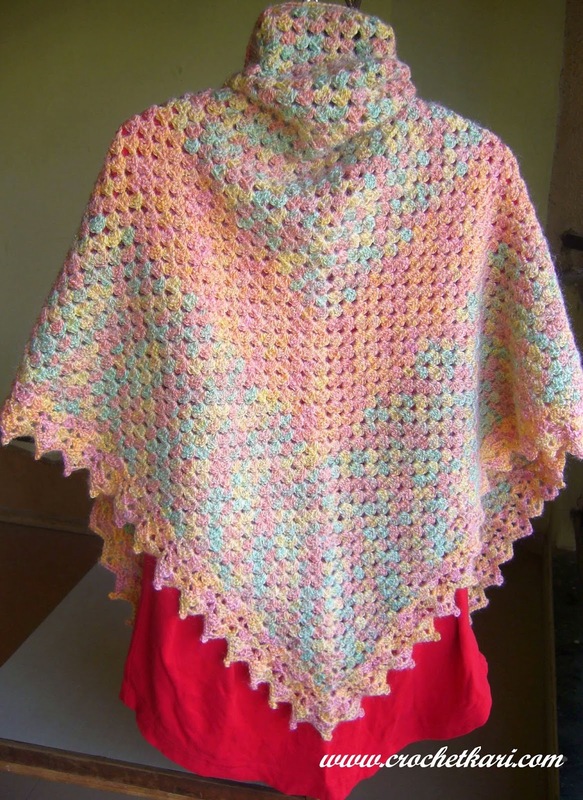 That's a very nice shawl in sweet colours. Well done! It is a beautiful shawl! I love it! ANd yes... the shall has turned out very nice. Winter is just round the corner... Finally... Ah! Nice job! The name you gave your project is perfect. The colors match the painting well.